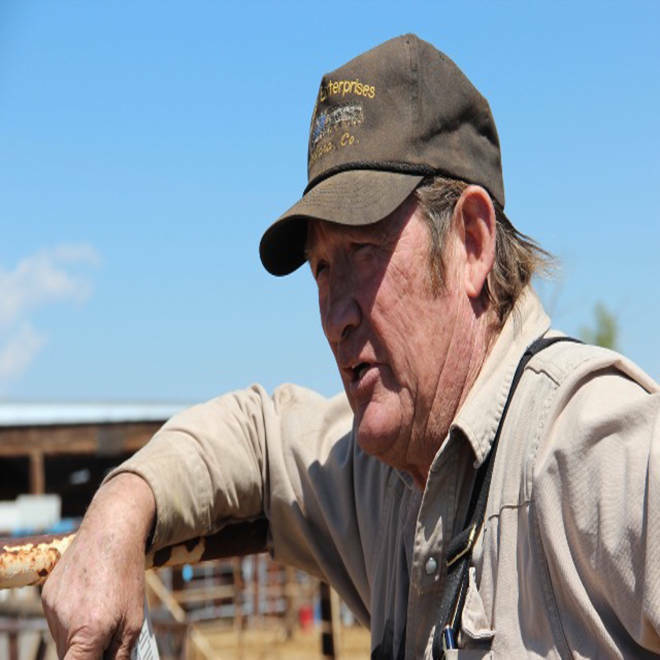 Tom Davis at his corrals in La Jara, Colo. The semis would rumble down country roads packed full of wild horses. Truckload after truckload, sometimes 36 horses at a time, all with the same destination: a ranch in the small town of La Jara, Colo.
Records show that for years, the Bureau of Land Management sold and shipped more than 1,700 wild horses from its animal holding facilities to just one rancher. Now federal investigators are trying to figure out: What did he do with all those mustangs? And did any of them ultimately end up being butchered in the slaughter plants of Mexico? Wild horse advocates fear the worst. They want to know the truth about the fate of the horses and whether the U.S. government looked the other way as the federally protected animals seemingly disappeared. The BLM is charged with protecting wild horses under federal law and has confirmed that the Interior Department Office of Inspector General is investigating the agency’s sale of mustangs to rancher and livestock hauler Tom Davis. The Davis investigation comes amid a growing controversy over the BLM’s Wild Horse and Burro Program. The agency faces a dire situation: Nearly 50,000 horses captured during frequent roundups, so-called “excess animals,” are living in government holding facilities that are nearing capacity. Horse adoptions are down, so the BLM has turned to selling the animals. The government says Davis, who paid just $10 per head, was the biggest buyer ever of wild horses. Its sale of the animals to Davis from 2008 to 2012 was uncovered by writer Dave Philipps in a September 2012 story, “All The Missing Horses,” for the nonprofit news organization ProPublica. The story questioned whether Davis sent the horses to so-called “kill buyers,” middle men who export livestock to meat packing plants in Mexico, but reached no firm conclusion. Davis did not respond to repeated attempts by NBC News to contact him for comment and his lawyer, former federal prosecutor William Taylor, declined to answer questions about the federal investigation of his client. The BLM acknowledges on its website that it is “not in compliance” with that part of the federal law which directs the agency to sell excess animals “without limitation” to any willing buyer, even to those who would slaughter the animals. Last year, ProPublica reported that Davis is a proponent of slaughtering wild horses in the BLM’s holding system and that he had tried unsuccessfully to obtain funding to open a slaughter plant in Colorado. But Davis denied to ProPublica that he ever knowingly resold any wild horses for slaughter, saying he found “good homes” for the mustangs he purchased from BLM. Horse advocate Leigh said neither of those explanations should have withstood the government’s scrutiny. So-called state brand certificates issued by the state of Colorado and obtained by NBC News indicate Davis shipped many of the animals he bought from the BLM to small towns near the Mexican border. The Colorado brand commissioner says approximately 431 horses shipped from Davis’ property “appear to be BLM horses” that were sent to unspecified addresses in towns in different parts of New Mexico and Texas, including Spofford, Texas, 36 miles from the Eagle Pass border crossing into Mexico. An official familiar with the Davis investigation told NBC News that investigators are not only trying to determine what happened to the horses, but whether Davis violated any of the conditions of his purchase. Loyola Law School professor and former federal prosecutor Laurie Levenson said that, based on the bill of sale language, investigators could be trying to determine if there is evidence of a felony violation such as lying or making a false statement to a federal official. One month later, U.S. Rep. Raul Grijalva, D-Ariz., and 20 other members of Congress signed a letter to then-Secretary of Interior Ken Salazar, who oversaw BLM, citing the “substantial public outcry” over the ProPublica story on Davis. The Feb. 13 letter said the co-signers were “troubled by your department’s lack of response to the legitimate concerns raised” by horse advocates and demanded an update about the Inspector’s General investigation. Grijalava’s office said Salazar never responded to the letter. Later this year, the Office of Inspector General is expected to present its findings to a U.S. Attorney, who will decide if any charges will be filed against Davis.